We know what a spring deserves to be started with: one of Hungary’s most important historical music festivals will take us back to the distant past again with its very special concerts. 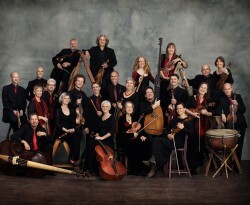 On the first day of March, an excellent German baritone, Michael Volle, and an outstanding early music ensemble, the Akademie für Alte Musik Berlin, will take to the stage with their programme of Bach cantatas and motets. 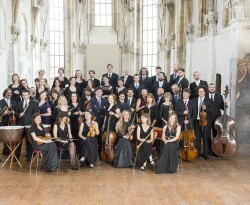 The La Chapelle Rhénan, an early music orchestra established in Strasbourg, will bring a true rarity to Budapest. They will perform a grandiose series, which is very rarely played in Hungary today, the David psalms of Heinrich Schütz, one of the greatest composers of the pre-Bach period. Kossuth prize holder violinist Barnabás Kelemen and his friends will perform Bach, Leclair and Haydn works. Müpa’s audience will also have an opportunity to see the artist’s magnificent Baroque violin, manufactured in 1771 by Januarius Gagliano, which has recently come into his possession. 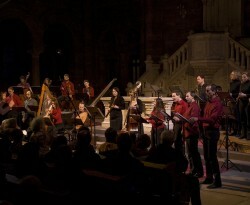 Händel’s biblical oratory, Israel in Egypt, will be performed by a truly international production: Collegium 1704, founded by Czech conductor, harpsichordist and horn player, will be joined this time by the Dutch-born, Scottish-Icelandic soprano Hannah Morrison, German alto Benno Schachtner and Polish tenor Krystian Adam. Thanks to György Vashegyi, who set himself the aim of performing musical treasures yet to be discovered, Montéclair’s Jephte, the first French baroque opera of a biblical subject, will be performed by the Purcell Choir, the Orfeo Orchestra and some excellent soloists.